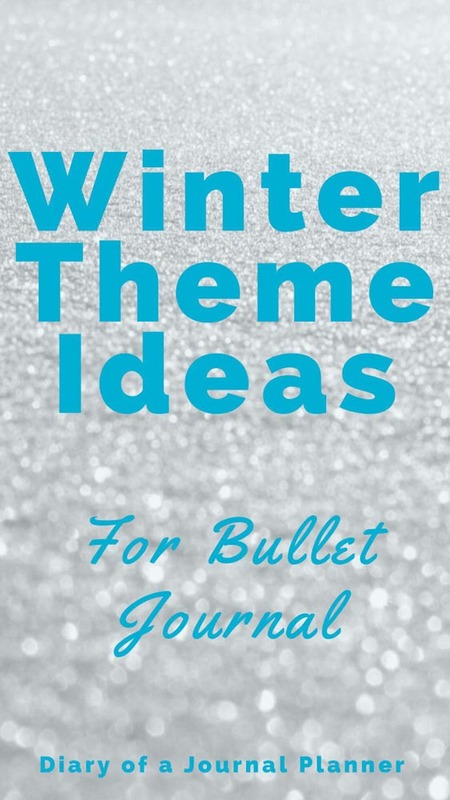 Get into the spirit of the season with a gorgeous Winter Bullet Journal theme ideas. Although winter may have its downsides, you have to admit it is such a pretty season, which means there are lots of inspiration for a winter themed spread. Think gorgeous twinkling lights, warm mugs of cocoa and pretty snowflakes. 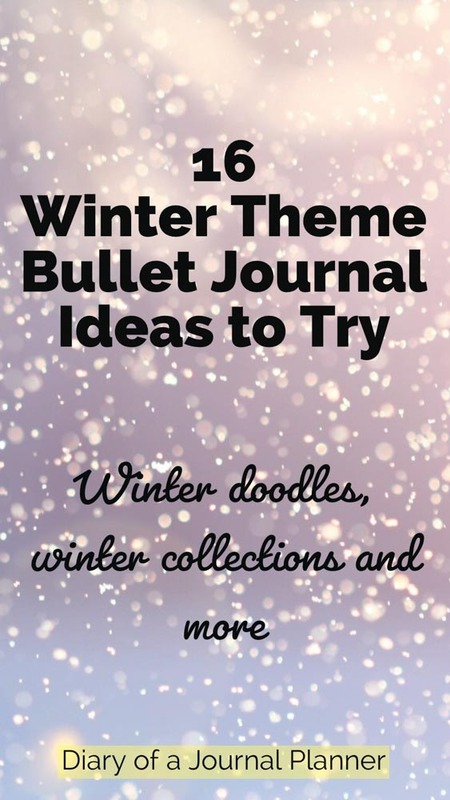 I also find that I need my Bullet Journal for organizing life even more during the winter season with the craziness of the Holiday Season. It’s a great way to make sure I don’t forget anything and to stop me from getting overwhelmed. 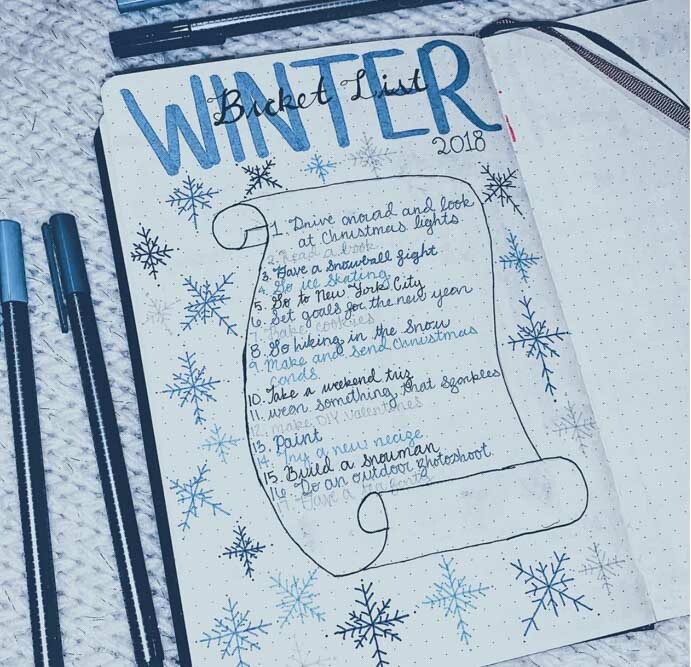 Before we show you some gorgeous winter themed spreads for inspo, here are some ideas to make your winter pages really amazing. You can have all your usual collections in your winter spreads but there are a few list ideas you may like to add especially for the winter season. 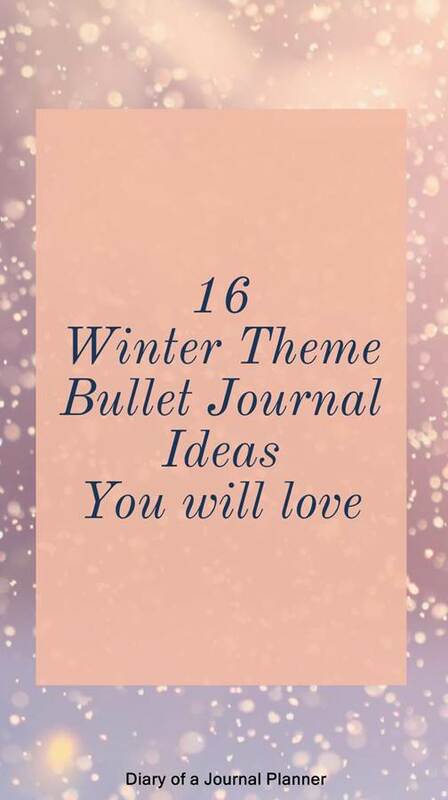 If you need more ideas on what to put in your journal then check out our bujo collection ideas. Keep reading to see some of my favorite Winter themed spreads. 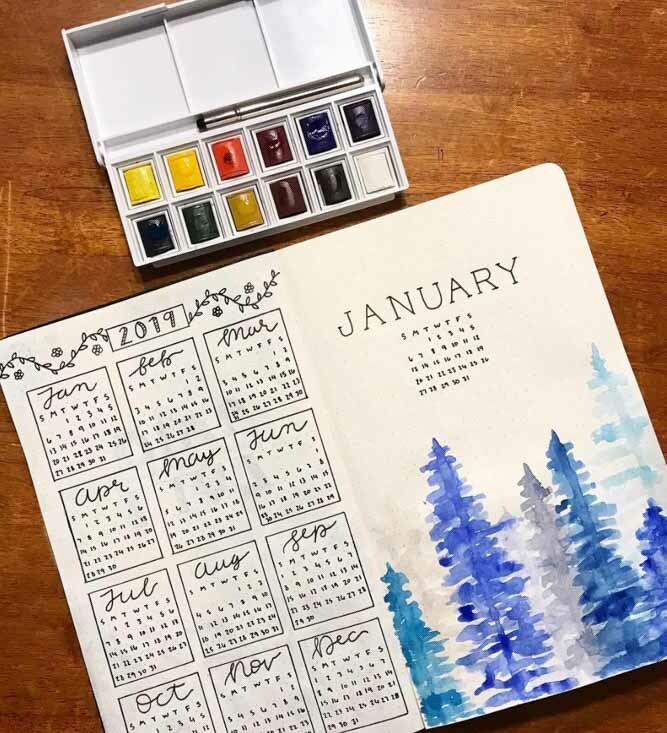 I love to mix and match ideas I find from the amazing, creative Bullet Journal community. 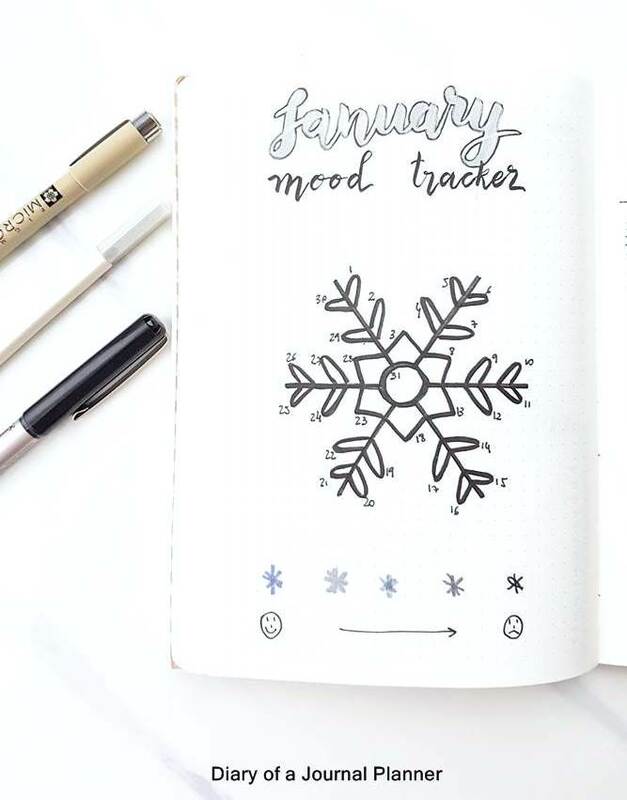 A simple snowflake design to track your mods in this cold season, check my January pages here! 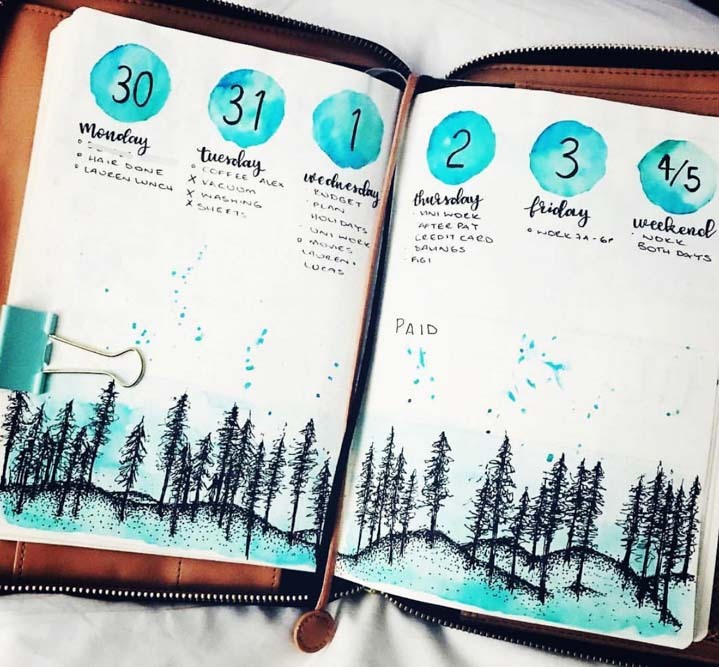 @xpaperwingxs has created all the winter feels with this stunning weekly spread. Create a winter bucket list like @tiffanymtru. 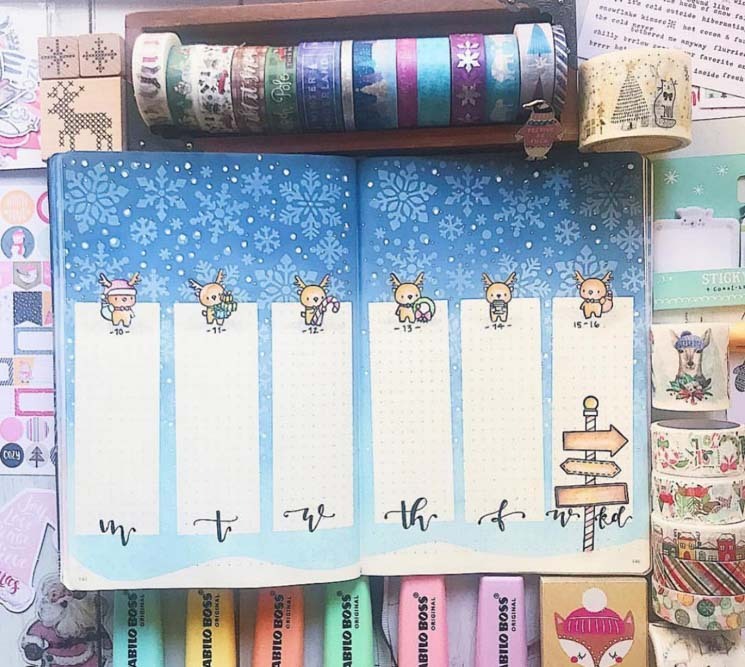 Winter animals and scenes are on cover pages are a great way to give your Bullet Journal a winter theme. This barn owl drawing by @isabelhoops is amazing. 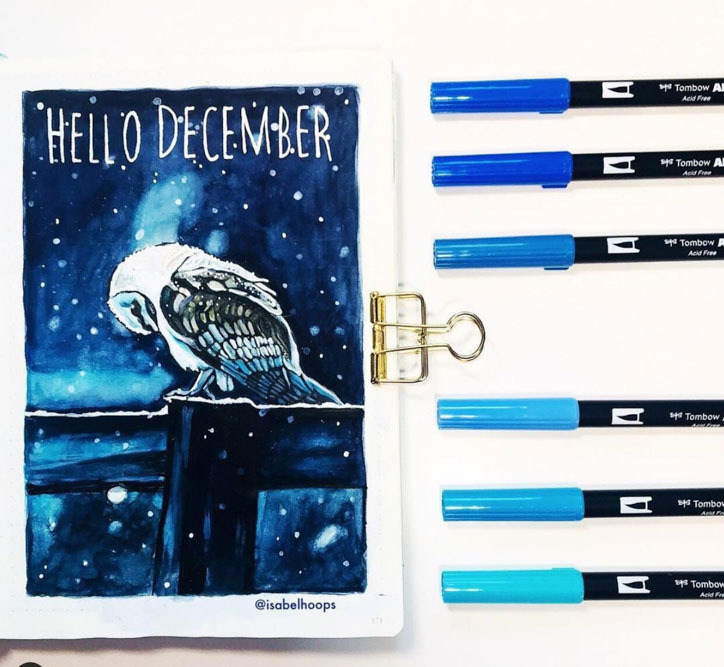 @allorasbujo has created a gorgeous winter scene for her bullet journal weekly spread. Get into the winter spirit with a winter quote like this from @elizabethturn. 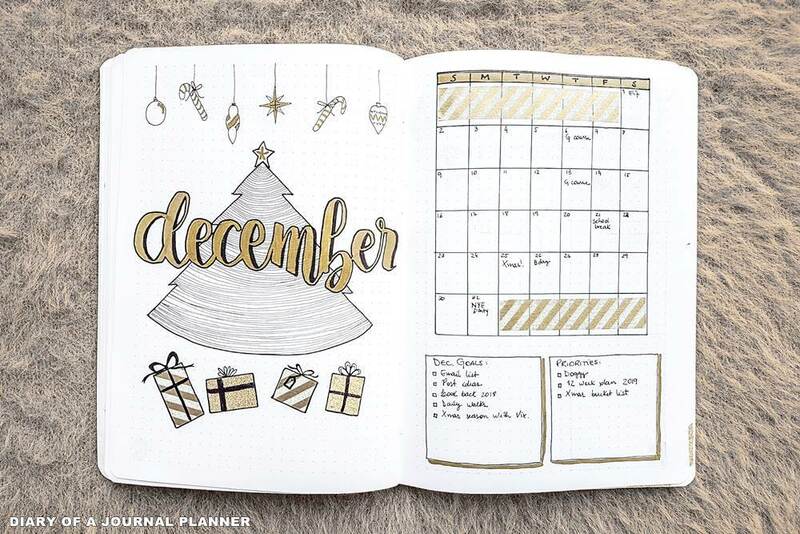 Click to see our whole December Bullet Journal spread. 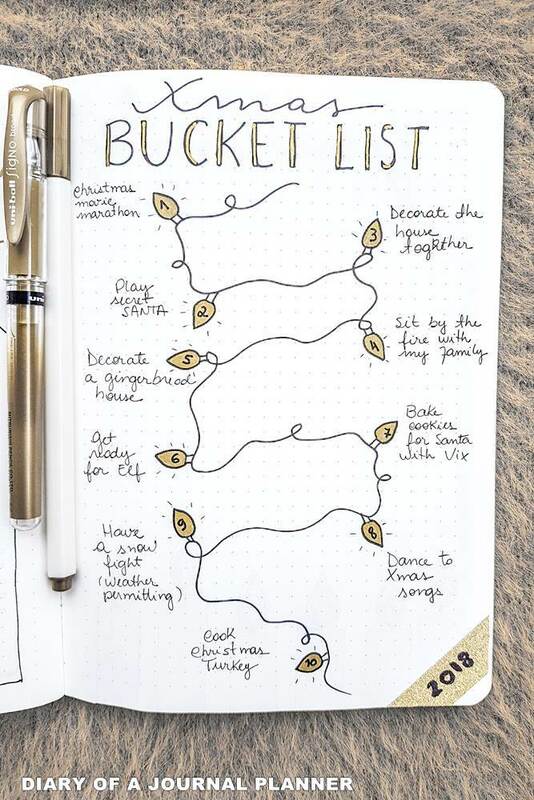 We included collections such as a Christmas planning page, gratitude list and a countdown to Christmas doodle page. 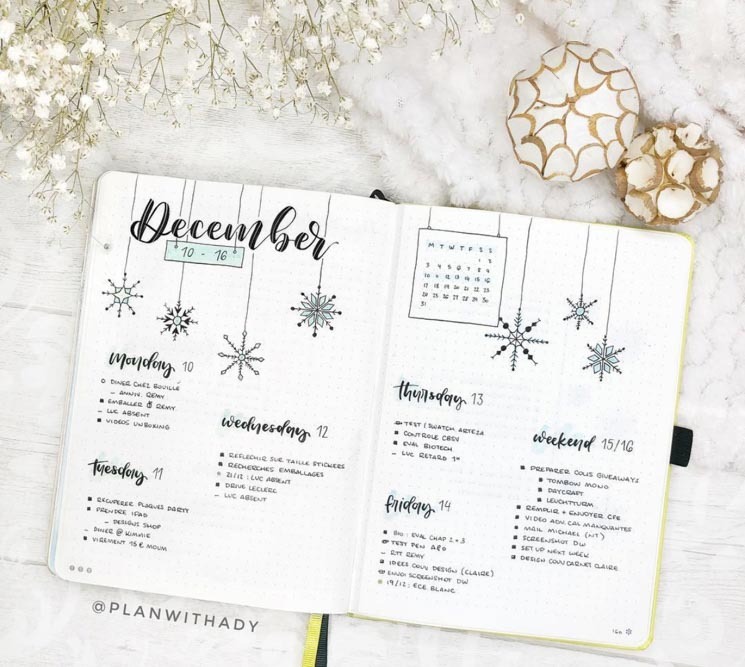 @planwithady makes a simple winter weekly spread with snowflake doodles. We show you how to create your own with easy step-by-step examples later in this post. 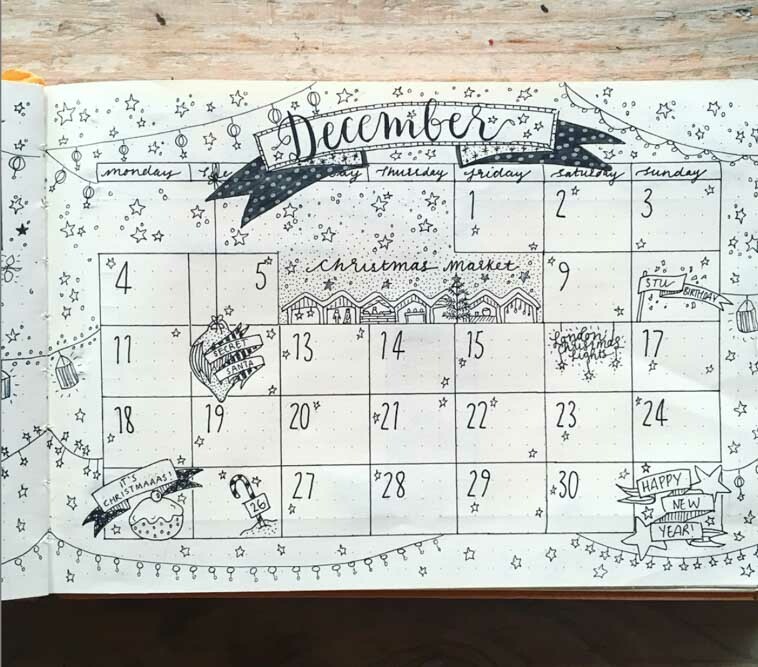 @journalsbeth has created a December monthly spread with so many gorgeous winter-themed doodles. It can be easy to forget an event at this busy time of year. Having a monthly calendar to give you a quick overview is a great way to stay on top of all the festive events. Evergreen trees are a great way to decorate any winter themed spread. 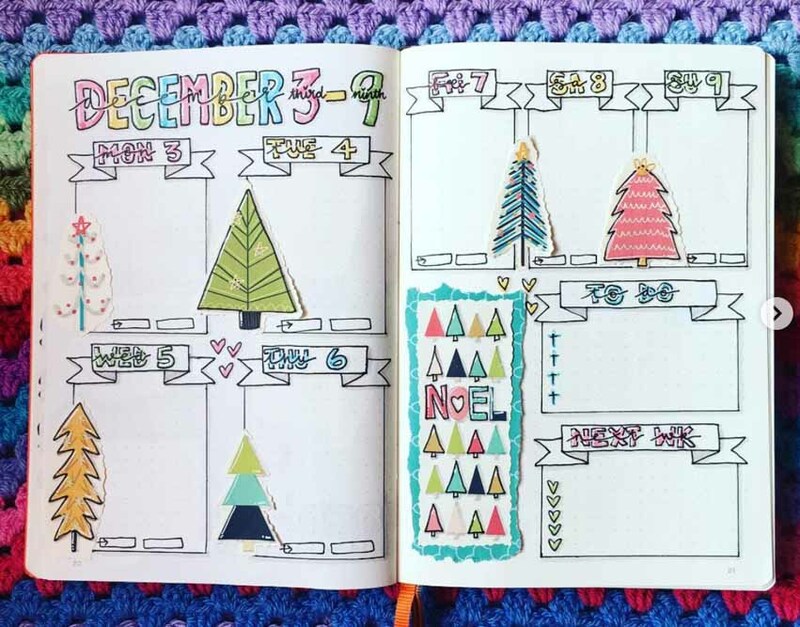 @jodiew88 has used fun colors and a variety of trees to had a fun vibe to her December weekly spread. If you prefer minimalist spreads then a simple weekly spread like this from @bujo.general is perfect. Small, delicate drawings of in season flora is a great way to add a little detail without being overbearing. For me January is all about the cold weather and staying cozy. 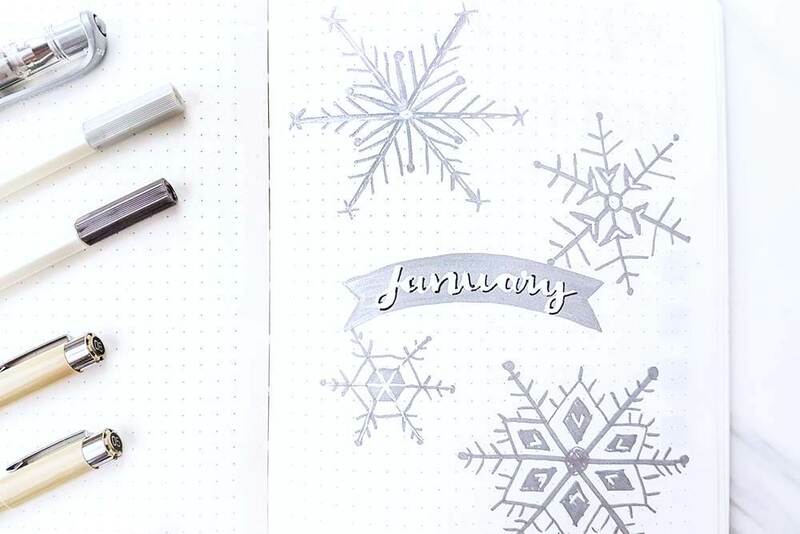 So nothing is more fitting than snowflake theme for my January bullet journal spreads. 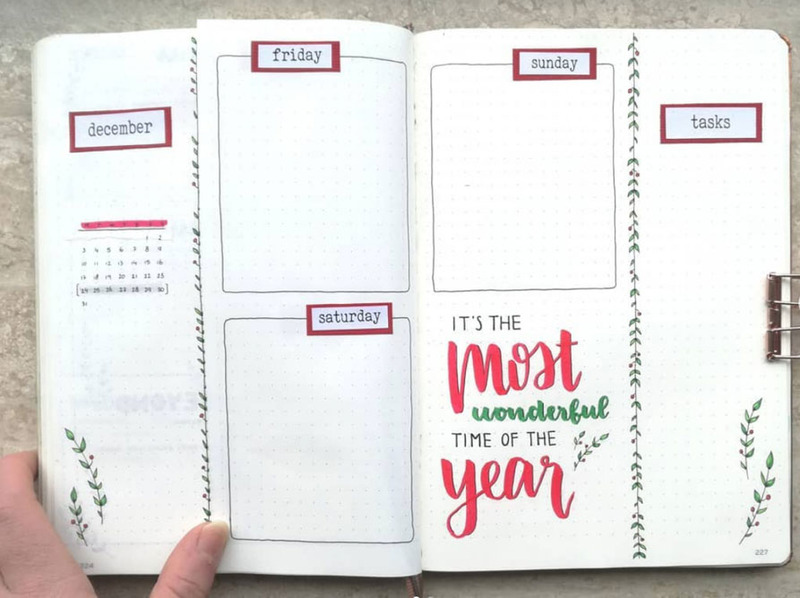 Keep it simple and beautiful for winter themed weekly spreads by using washi tape like @domnickyrose. 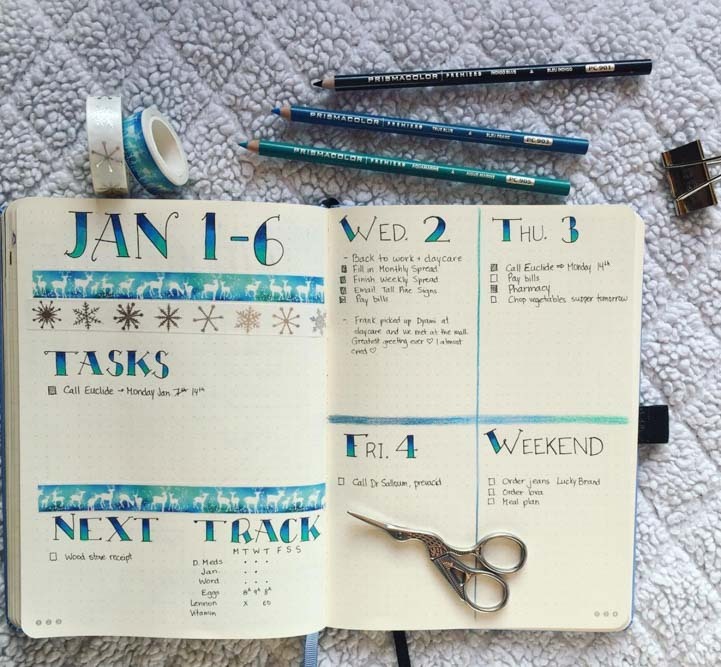 Find more ideas on how to use washi tape to decorate your bujo here. Don’t forget to include all the important lists and notes in your winter themed spread. 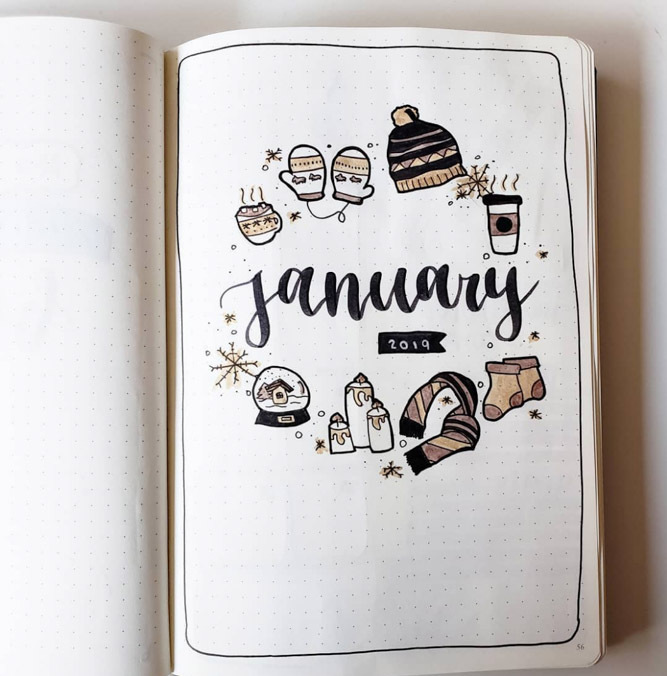 I love all the cute winter doodles @stl.journals has included in her January monthly spread. 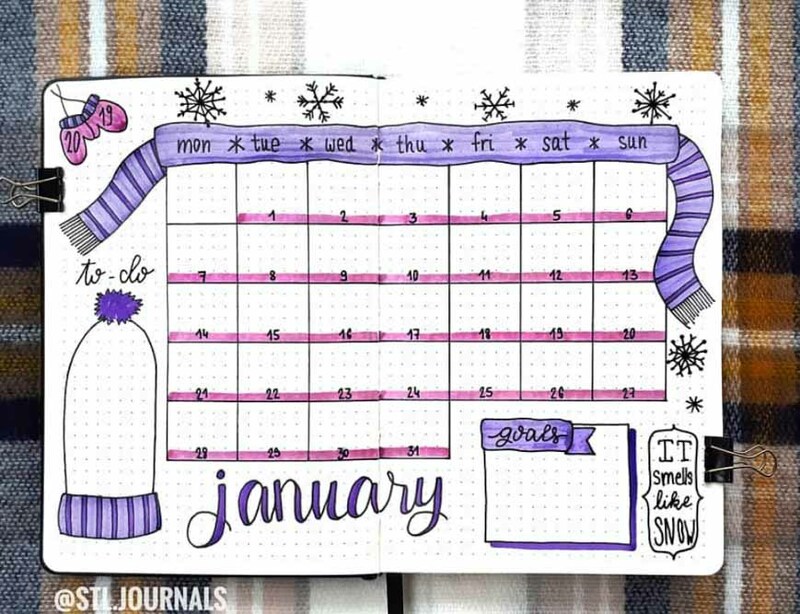 Create magic winter scenes in your monthly cover pages like this winter-themed cover page from @mireeha. 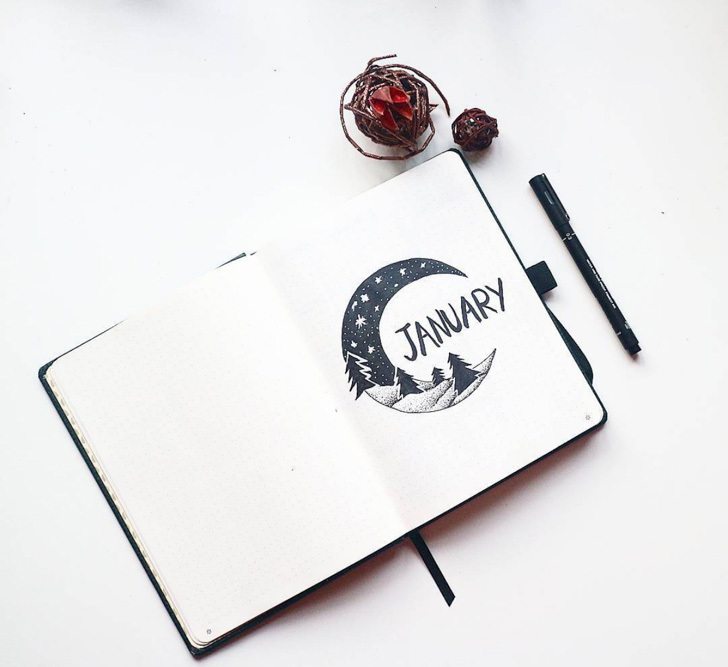 Head over to our huge post to find inspiration for cover pages for every month of the year. 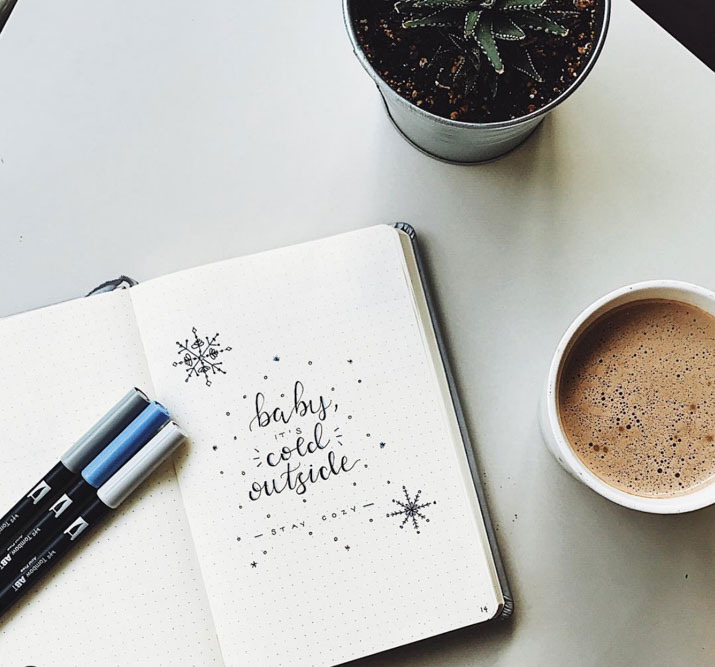 Winter doodles are a fun and easy way to decorate your winter pages. 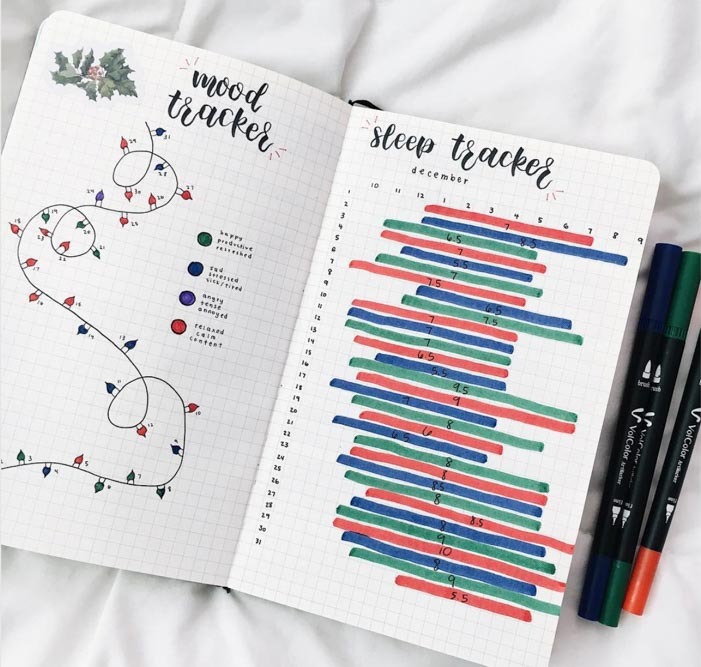 Bullet journal doodles not only make your spreads look amazing but they can be a great way to relax. 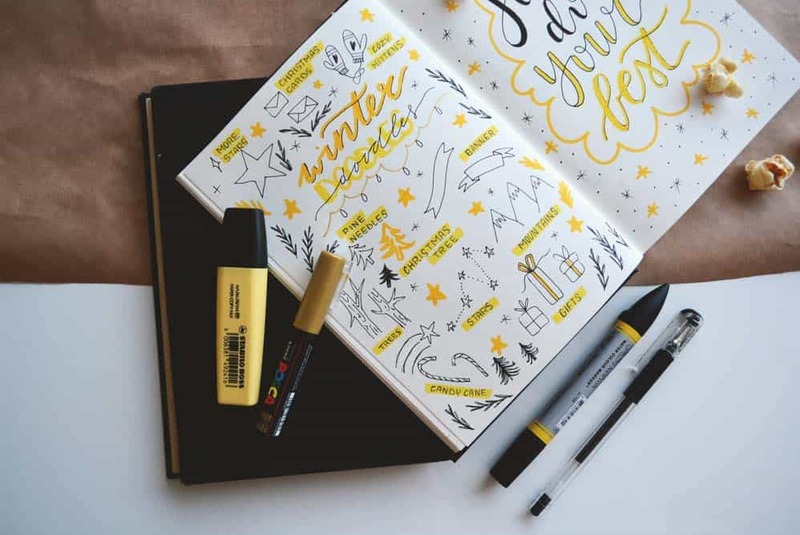 If you want to try doodling more then check out our huge list of Bullet Journal Doodles. Here are some super easy doodles that could fit in with your winter themes. 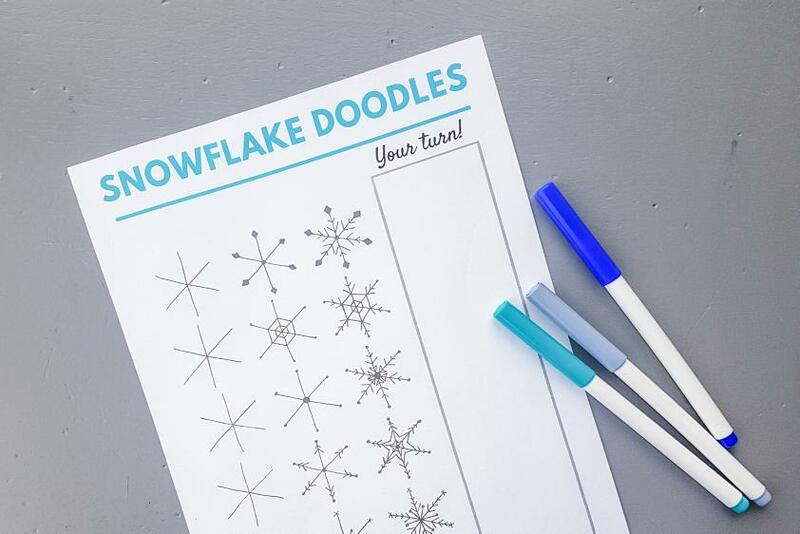 Click for our simple Snowflake doodle tutorial. 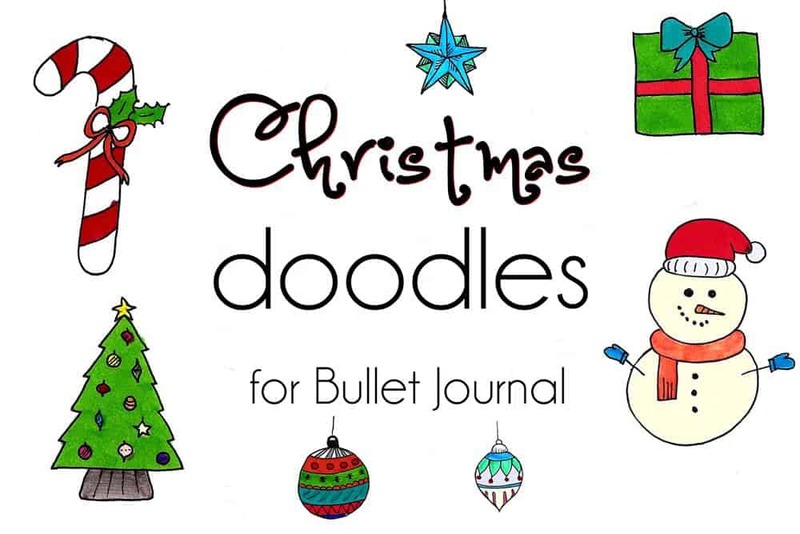 Click to find out how to draw these gorgeous Christmas Doodles. 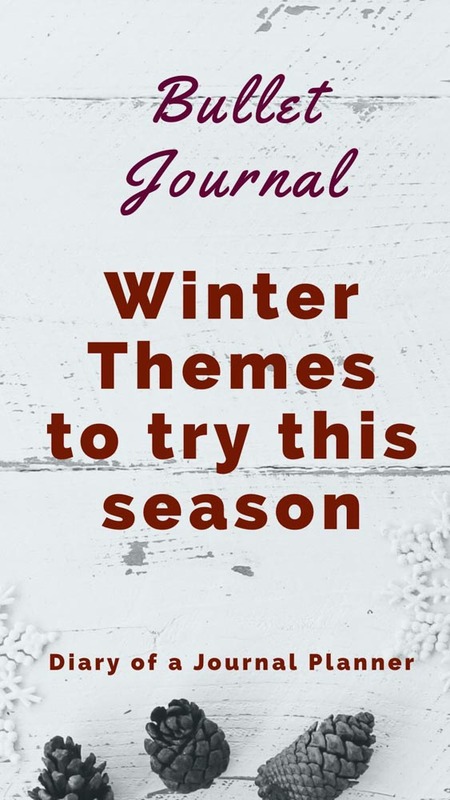 I hope that you have come away with some great inspiration for your own winter theme. We always love seeing our communities spreads so be sure to share pictures below or over on Facebook for us all to see.